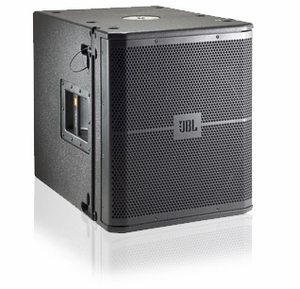 15 inch, 2265G-1 Differential Drive� woofer for extended low-frequency output. Suspension / Mounting : Top mounted M20 threaded socket for optional pole SS4-BK. Integrated flying hardware for use with array frame VRX-SMAF. 8 M10 fittings. Optional M10 eyebolt kit. Grille : Power coated, black, 16-gauge perforated steel with with acoustically transparent black foam backing.